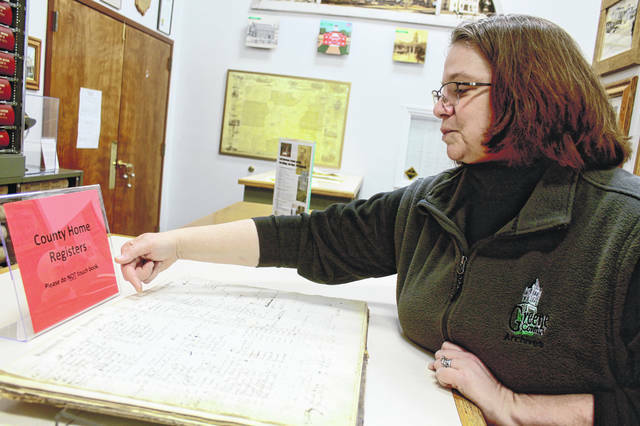 https://www.fairborndailyherald.com/wp-content/uploads/sites/50/2019/02/web1_RecordsRobin-1.jpgGreene County Archivist Robin Heise reads a line from registers from the county home, formerly known as the Greene County Infirmary. 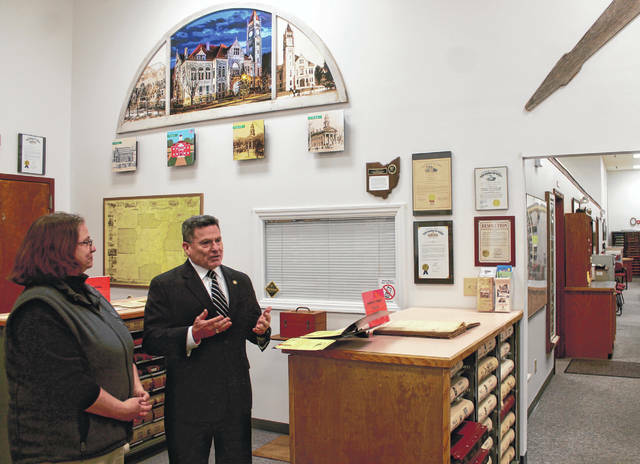 https://www.fairborndailyherald.com/wp-content/uploads/sites/50/2019/02/web1_RecordsPerales-1.jpgAnna Bolton | Greene County News State Rep. Rick Perales presents a proclamation to Greene County Archivist Robin Heise Jan. 25 at Greene County Archives on Ledbetter Road. 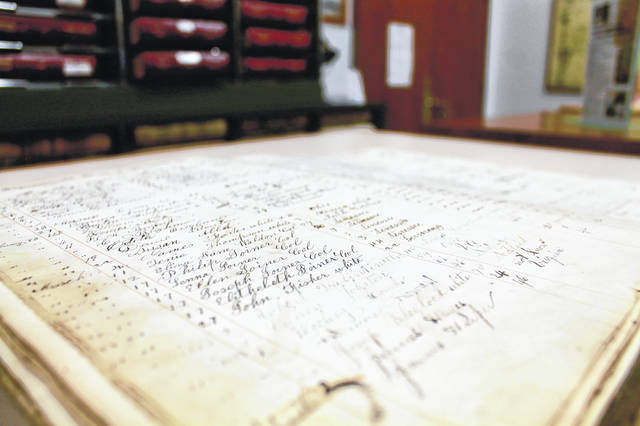 https://www.fairborndailyherald.com/wp-content/uploads/sites/50/2019/02/web1_Record-1.jpgHouse Bill 139 will open records like this county home register to the public. In Greene County, this record is already open.